We had the most delightful time on a Capri day trip. Our family of 4, were part of 9 total on the boat. We all became fast friends and enjoyed our trip immensely. It rained for part of our trip (spring! ), but the covered portion of the boat was a nice break from the rain. The driver was kind and knowledgeable of the area. We really enjoyed our time and the hospitality of the tour and would highly recommend this company. 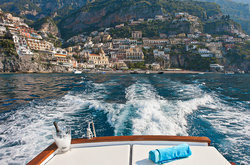 I visited Positano in mid of August with my husband and took a private boat tour to Capri from Positano. 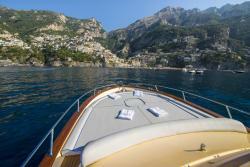 We booked Romar boat before our arrival at Positano. Our tour started around 10 AM and we were back around 4:30PM, though we booked a 7-hour full day tour, but we were very content with the 6 hour ish ride. The boat has basic amenities like Towel, life jacket and we were also offered drinks including water, Coke, Beer. Our sailor for the day was very nice and kind. 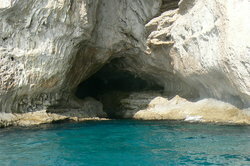 He explained us very well and showed all the beautiful caves around Capri island. We also stopped at one of the caves to swim. I would recommend their boat service. P.S. : It is good to reserve a table at Capri island before going, though the Grassi Junior guys can also arrange one. But I would recommend reserving your own and tell the sailor so he can drop off you at the Capri island at nearby location. What an amazing & memorable experience for our family (includes 3 kids ages 18,15,14)!! Highly, highly recommended! It's not cheap but worth it. We were there in Aug 2018 (peak season) and paid 800 euros for a 4-hr private tour for a family of 5. We got a beautiful boat stocked with beer, prosecco, sodas, water, & towels. Our captain was Ciro, a local who has lived all his life in Positano. He was awesome and offered lots of interesting details as we toured the spectacular Amalfi Coast. It was a very relaxed tour with no pressure to get back. The agenda was completely up to us, jumping in to swim at our leisure, explore grottos, take pictures, etc. Just a wonderful, wonderful experience. I highly recommend you request Ciro. 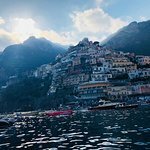 Positano was the last leg of our honeymoon, and we were especially looking forward to a relaxing boat tour to Capri w/ Grassi Junior. We emailed and called to confirm the details of the trip, which were vague: show up to the booth on the pier 20 mins prior to departure and tell them you booked a tour via email. 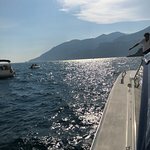 We did exactly that, but long story short, we were mistakenly given water taxi tickets instead and completely missed our boat, (which they charged us in full for) and had to figure out and pay for excursions on Capri, which was beyond crowded. 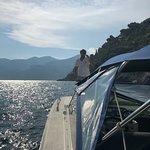 The company said they could not refund us, but offered to repay us for one taxi ride back (~$30) and take us back to Positano when the boat left for the day -- so basically, catch the boat we paid $175 to be on for whole day anyway. Unfortunately, our day on Capri was stressful, expensive and not enjoyable. When we got to the dock to meet the GJ boat at 4:28 for a 4:30 departure (we were running late b/c we got stuck in Anacapri for 2 hours b/c the buses just stopped coming), the boat was pulling away (so much for the 4:30 departure). Another couple that was on that original boat tour had also just arrived to the dock so the boat saw all of us and came back to pick us up. 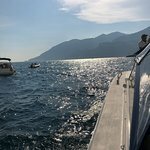 We had a very nice ride back to Positano, and they even stopped to let us swim around for a bit. However, my complaint is centered around the fact that nearly $300 went right down the drain and, rather than recognizing the miscommunication and making us, as paying customers, happy, the company instead placed the blame on US. Traveling to another country can be stressful and miscommunication can happen very easily. We did everything we could to ensure we knew where we were going, etc. and Grassi Junior did a very poor job at providing clear directions. They even told us that their no refund policy is because the island of Capri taxes GJ for boat tours to the island, so if someone cancels, they lose out of money. Translation = their monetary loss was more important than ours. 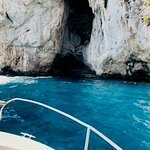 This was a classic case of miscommunication and rather than eating that ~100 Euro and refunding us, they instead created two very unhappy customers who now have a bad taste in their mouth about the tour and Capri as an island. I'm mortified by the unfortunate misunderstanding but after careful investigation among my co-workers, I understand that you arrived on time but did not request tickets for the capri tour, buying 2 tickets for the ferry. The ferry ticket operator operated as requested and left shortly thereafter. The private boat of the collective Capri, as evidenced by the mail I sent to Your Travel agency at 9.20 am, waited for you. We were unaware that you had taken the ferry ... Our Boat waited for you until 9.40 am!!! So, for our company, you buy (at a reduced price, different from the one agreed) another service and got on a ferry with 400 people instead of on a private gozzo of 12. 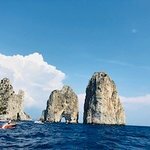 In addition, you have contacted our ticket office only when we have take the Money for the Capri collective tour, which I announced, we operate even if the customer does not show up for boarding. Capri collective tour ticket are discounted but non-refundable prices. 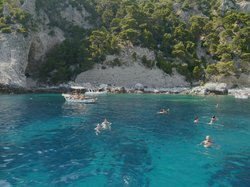 Finally, despite the company is not responsible for the error of purchase service, as soon as we understood what had happened, we immediately refunded the return ferry ticket (about € 40) and expected you in Capri to complete the tour with private boat and bath in Nerano. 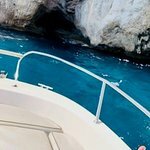 My boss says that we can not do more because the reduced tickets for the Capri tour are not refundable and we have already reimbursed the ferry at our expense. We provided you drinks and towels as agreed and we tried to do everything possible to make the tour enjoyable. I hope you will understand our position. We chartered a private yacht for 4 hrs. It was a 47 ft. The captain gave a history of the Amalfi Coast. 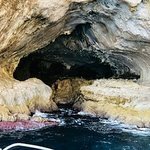 We discovered private Grotto which we went swimming in. If that wasn’t amazing enough he had champagne for my wife and I. Water for entire trip along with snacks and light appetizers. We experienced Positano like no one else does. 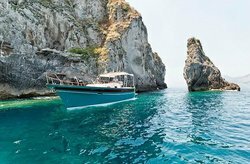 Because of Grassi Junior Positano Boat services they know how to please the customer. We cannot recommend this enough. We took a four hour trip from 2PM - 6PM and it was incredible. You can bring your own food and drinks. They also provided water, beer, and towels, free of charge. Our skipper, Gabrielle, was amazing. 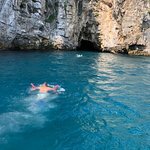 He gave us history of the Amalfi Coast and gave us time to swim, jump off cliffs, and just hang out. He took amazing pictures for us (even with my high maintenance requests haha). He was very professional and always asked how we were doing. My husband is a great swimmer and I am not; Gabrielle offered me a spaghetti (aka noodle) and made me feel super comfortable in the water. He always kept our safety as top priority and this gave me peace of mind. Could not recommend this enough if you’re in Positano. I suggest heading to their stand which is in the main square of Positano a few days before you want to book as they do seem to fill up a few days ahead of time (during high season). We paid €300 for 4 hours and I would do it all over again. 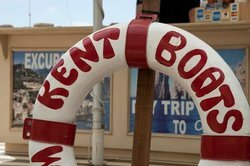 I think their lowest boat fee was €230 and went up from there depending on the boat and experience you’re after. Lastly, request Gabrielle. He speaks English, French, Spanish and of course, Italian. You won’t be disappointed!